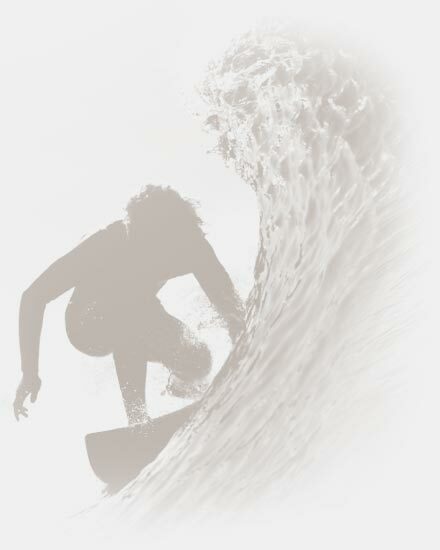 Swell Surf Camp was designed and built by us to be a perfect, surf-oriented base. 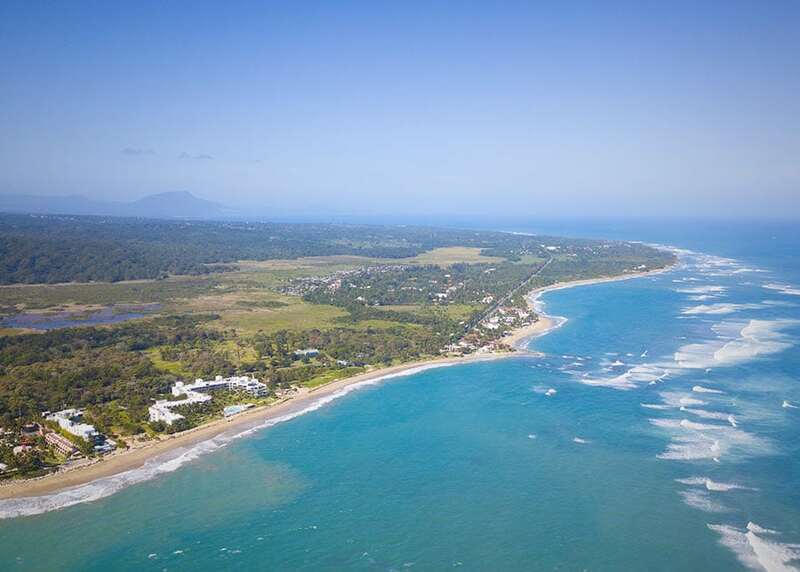 We used our extensive local knowledge as long-term residents of Cabarete to chose our location very deliberately. 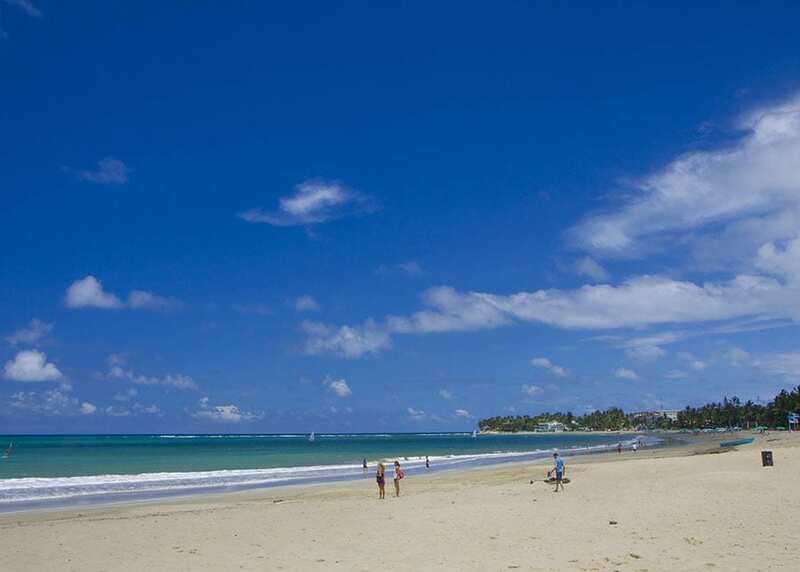 We are not directly on the beach (there are no real surf camps on the beach in the Dominican Republic) but we are a short, level walk to the sandy bay of Cabarete. 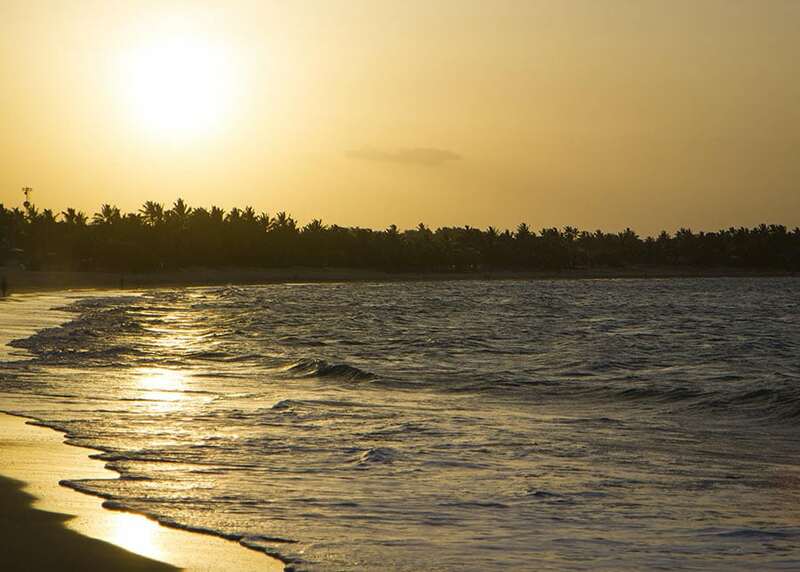 We chose a location where we knew our guests would have the best access to everything Cabarete has to offer + some peace and quiet when needed. The surf spots are less than 10 minute’s drive away in our own transport (Swell guests are normally first in the water!) and we provide the surf transport to get you there and back, twice each day. For the rest of the day and evening you can reach everything you need from Swell by foot. Some people ask us why Swell is not at the surf beach? That is honestly answered; there’s absolutely nothing to do there other than surf and we wanted to make sure you were next to all the bars and restaurants, every time you wanted to explore and have fun. 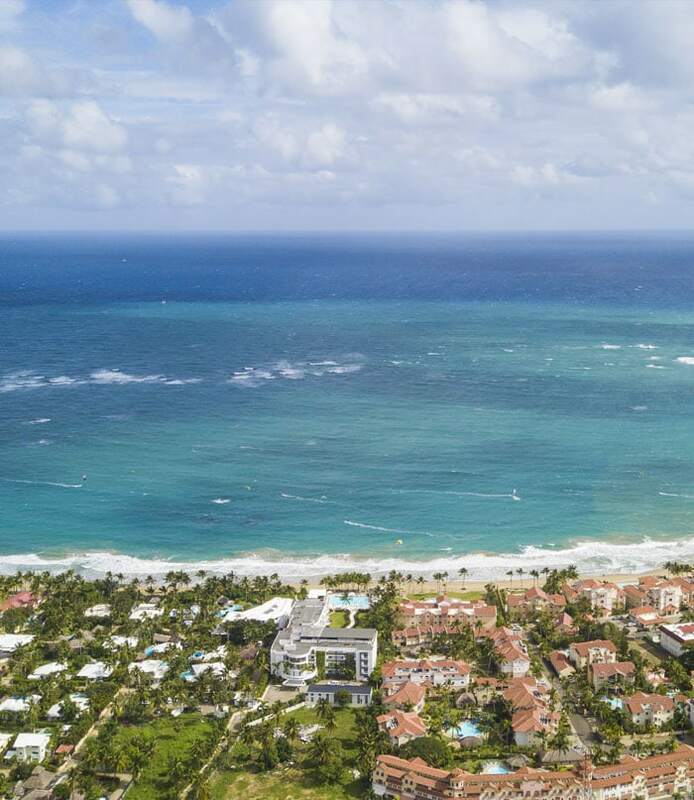 Cabarete Bay, the beach for kite-surfing and windsurfing, is less than a 5 minute level walk, the restaurants are close (one is our immediate neighbour) and four more of Cabarete`s most popular eateries are within 200 meters. 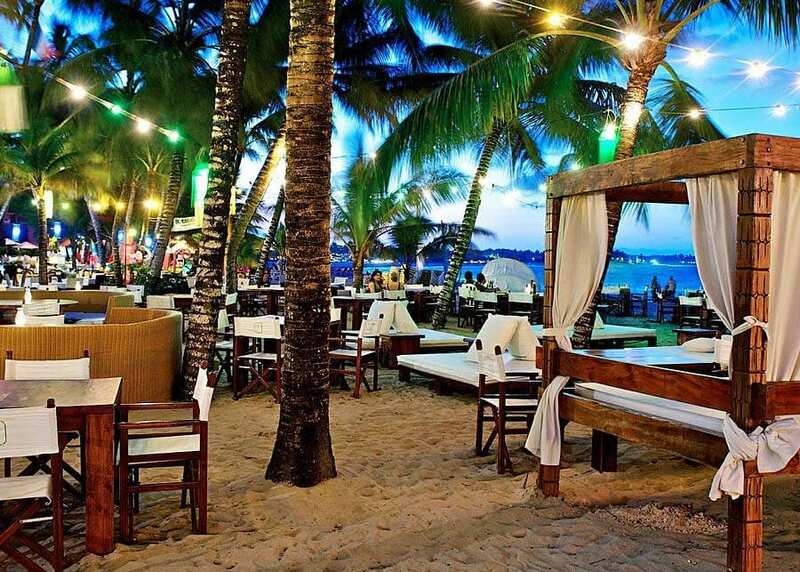 In fact, within a 10 minute walk you will have the choice of all Cabarete's restaurants and bars, many of which are right on the beach. Swell sits at the base of the Parque National El Choco and you can enjoy some beautiful sunsets over this range of hills. If you fancy a shopping trip, just walk from Swell into town to explore the many clothing, jewellery and souvenir shops on offer. 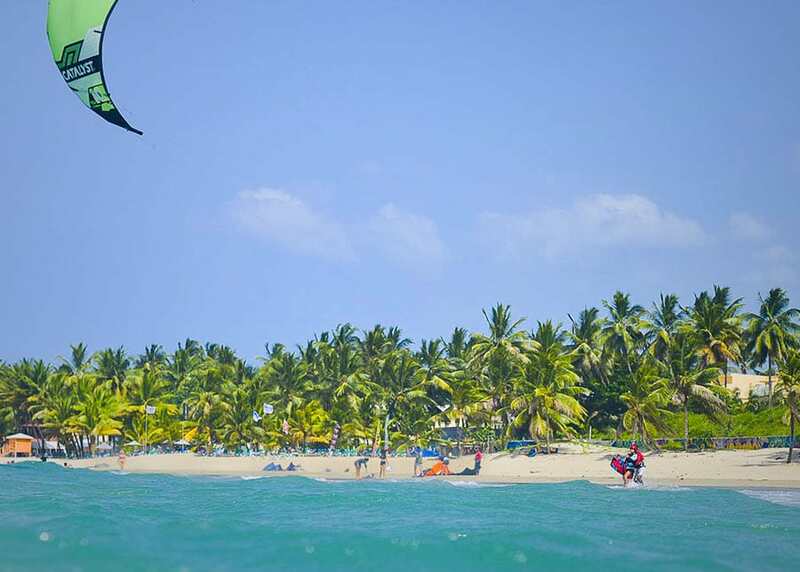 The more travelling we did to other countries in pursuit of surf, the more we realised what a special place Cabarete is. 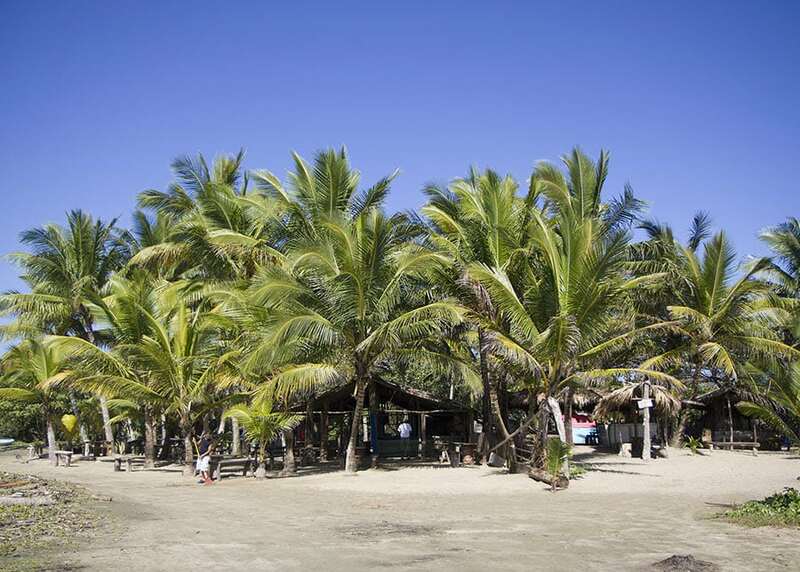 This vibrant town also has a beach dining scene we’ve not managed to find anywhere else. 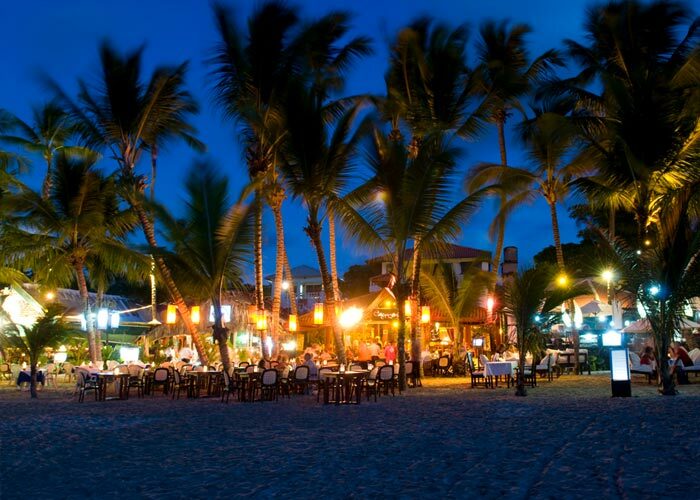 At night, the many restaurants on the beach light up the palm trees with lanterns and place their tables and chairs directly in the sand. Many different cuisines are on offer and we will gladly help you choose where to eat on the evenings that dinner is not prepared in the camp. We promise never to send you anywhere we would not be happy to dine ourselves. After dinner, some of these restaurants turn into clubs where you can dance the night away, all in a unique & friendly atmosphere. 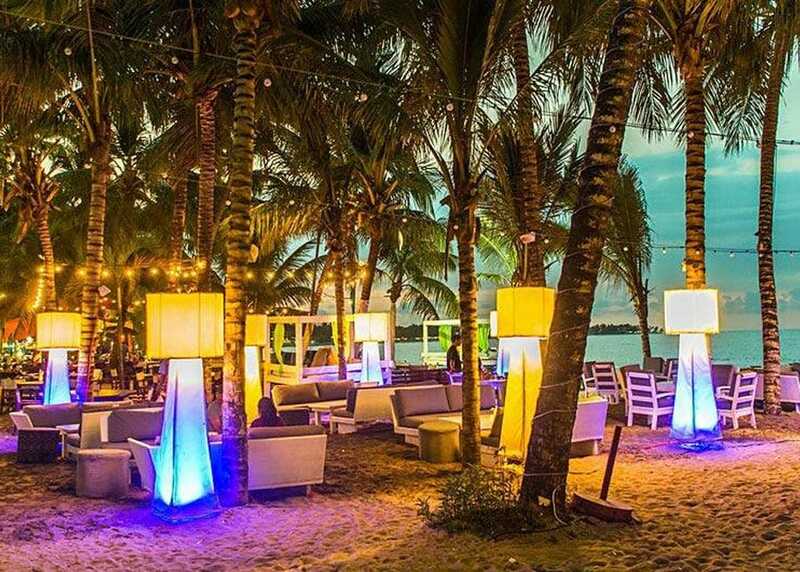 If clubbing is not your scene, you can wander back to Swell where we enjoy a more peaceful location, just far enough away from the action to enjoy your night’s sleep. Great people make an amazing vacation! We just finished a week at Swell and wished we had stayed longer. We are total beginners to surfing, but met a few seasoned surfers at Swell. We were the only couple with mostly solo travellers and had a great time meeting people. If you're looking, start booking : ) I've just returned from Swell and with the sand between my toes and tan like no other, I don't think I can express what a fantastic trip this was. Travelling on my own, I was always a bit apprehensive but upon my arrival not only was everyone else travelling on their own, but everyone gave such a warm greeting. The surf was great for any level with the instructors truly knowledgeable and great to assist. There's additional activities that you can do such as the canyoning which was amazing and great photos afterwards. As everyone has mentioned, the accommodation is exactly as the photos. I shared a dorm which was ample room for 4 girls and was cleaned immaculately everyday. I cannot recommend Swell enough. It's one of a kind and I hope you too have the same memories to come. Our visit to Swell Surf Camp was everything we hoped it would be for a pair of beginner surfers. Having never been to the DR before it was nice to book ground transportation, lodging, instruction, and a majority of dining all at once. But don’t think of Swell as an “all inclusive.” It’s much more than just a gated compound that you have to feel unsafe venturing away from as the town is safe to explore. 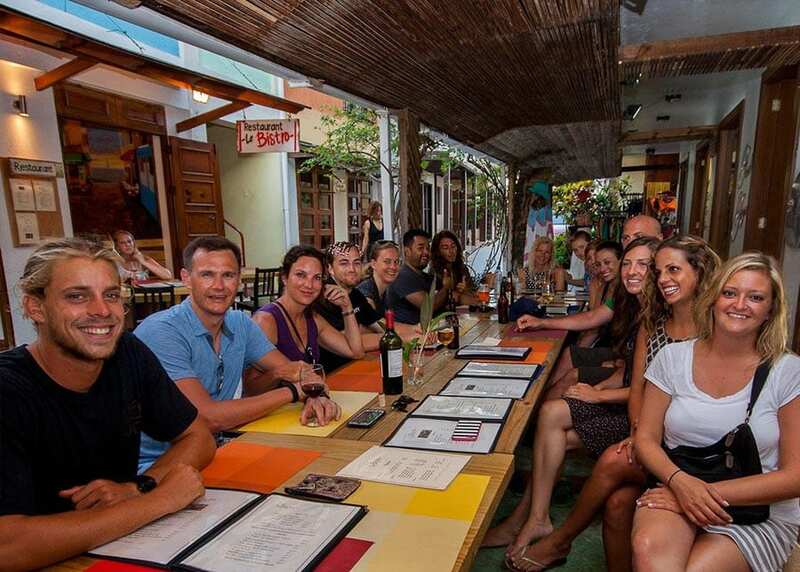 It’s a unique mix of adventure, a relaxing getaway, fantastic dining, and meeting new people. The mix however is really up to you. The accommodations are clean and meticulously cared for. We loved having the privacy of our room and the open air social setting of the kitchen, “living room” area, and pool. This is not a place to go if you’re not looking to socialize. The breakfast and dinners are better than we expected. Fresh ingredients freshly prepared by excellent cooks are enough to bring us back again. The best mango I’ve ever had. Haudy takes excellent care of you and is more than just a concierge and manager. She’s engages you daily to make sure things are going well and organizes details (details, timing, etc) for any other excursions beyond surfing. Honestly we just had fun hanging out with her. Surfing for beginners? I’m sure there are other competent instruction programs but Swell stood out among the others I saw while I was there. Neno, Ed, and Paloma were a lot of fun to learn from with great attitudes and patience with students. Their philosophy about learning to surf and positive coaching styles have a consistency that allows each of them to work with you at any given time without contradicting one another. They also seemed to genuinely get along which shouldn’t be underestimated as a factor in the experience. We really liked the 2 session format for surfing and the flexibility to skip the 2nd session after breakfast if you chose to. It was nice to work on technique, stop and rejuvenate with breakfast, then go back out for round 2 if you’re up for it. After 4 hours of surfing you were all done by 12:30 which feels like you still have the whole day in front of you to go canyoning (Matt at Kayak River Adventures is a very enthusiastic and just plain fun guide) or a variety of other activities. Or you can just chill at Swell’s pool all day! We did a few sessions of yoga with Molly who is pretty much the most joyous and energetic yoga instructor I’ve encountered. 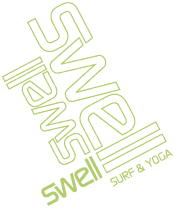 We really enjoyed yoga at Swell and consider it a must do when we return. I like yoga but typically don’t find myself having as much fun as I did with Molly’s style. From Swell you can walk to town and you should. Many food options (we kept finding ourselves at Fresh Fresh and Gorditos) and be ready to be solicited for everything from rides to town, jewelry, food, hair braiding, and much more. Most are pretty friendly and aren’t too persistent if you’re polite to them. It’s a beautiful Caribbean town despite some areas where there’s trash laying around and we highly recommend the 2 for 1 mojitos at the mojito bar from 4p-8p. We’re already starting to plan our return trip. Swell is worth the repeat!